Hi everyone! Today is the last day of the My Favorite Things April release countdown. This release is absolutely fabulous! The new products will officially be available on the MFT online store in a few hours!!! Yay!!! The new products will officially be available on the MFT online store on April 9th at 10:00 am EST (= Europe: April 9th at 4:00 pm CET). Most of the supplies I used for this project are linked at the bottom of this post. I also worked with the newest #Captions Die-namics and the Polaroid Shaker Frame Die-namics from the newest April release. 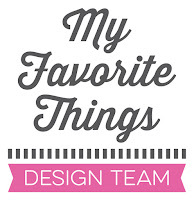 For today’s full product reveal, links to other fabulous projects from the MFT design team and AWESOME GIVEAWAYS, be sure to check out the MFT blog! 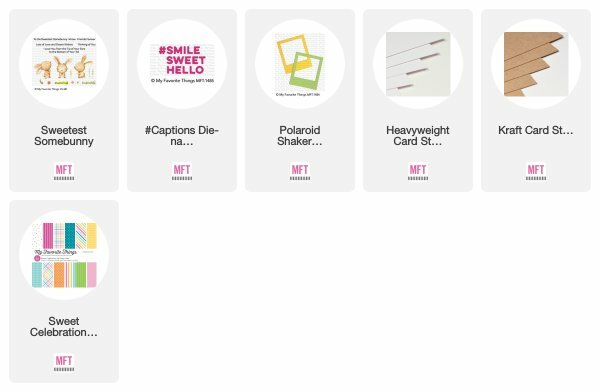 For more inspiration, don’t forget to check my MFT Gallery on Pinterest and my INSTAGRAM feed! Thanks so much for visiting my blog! I’m back tomorrow for the product launch! Oh, that bunny is so sweet hanging down from the frame. Definitely brings a smile to my face... and the recipient's face too, I'll bet! Aww - I love this card - I love the bunny peeking in from the top! Peek-a-boo I see you. Adorable and a little one would love the bunny peeking . Great new stamps! In deep water with the budget! Awesome release! Awesome creation! I love this funny bunnie! Having the bunny coming in from the upper corner is such a fun idea! So adorable! I love the details you added to the bunny. What a cute idea to put this little bunny peeking in from the corner! Love it! So cute, Francine! 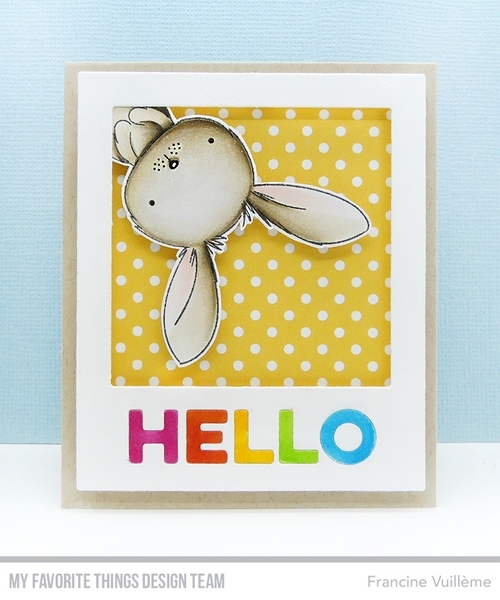 Beautiful coloring and I love how your upside down bunny is peeking in to say hello to us...Fun card! Oh my goodness! Such a sweet card - I love the peeking bunny!! Copyright © 2011-2018 Francine Vuillème | 1001 cartes. All rights reserved. Simple Design. Powered by Blogger.